A beautiful poster realized by Yechezkel Kimchi in 1958, for the 10 years anniversary of the state of Israel. 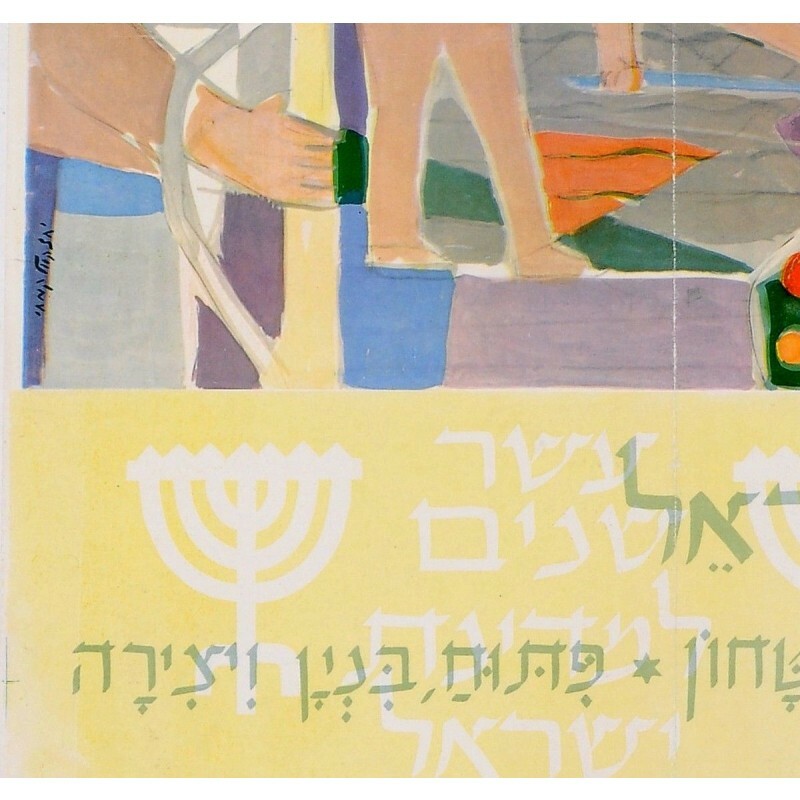 Important action calls for the Zionists of that time are painted and inscribed on it in Hebrew, such as: "development, construction, and creation". Yechezkel Kimchi ( December 17, 1918 , Stolin , Poland - 1994 ) was an Israeli painter , recipient of the Dizengoff Prize for Painting and Sculpture in 1964 . 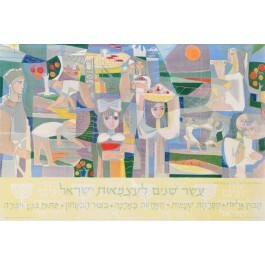 Member of Kibbutz Yakum since 1949.